Quite a long name for an easy 3 ingredient recipe. Sometimes I get serious cravings. And 90% of the time they involve Krispie Treats. 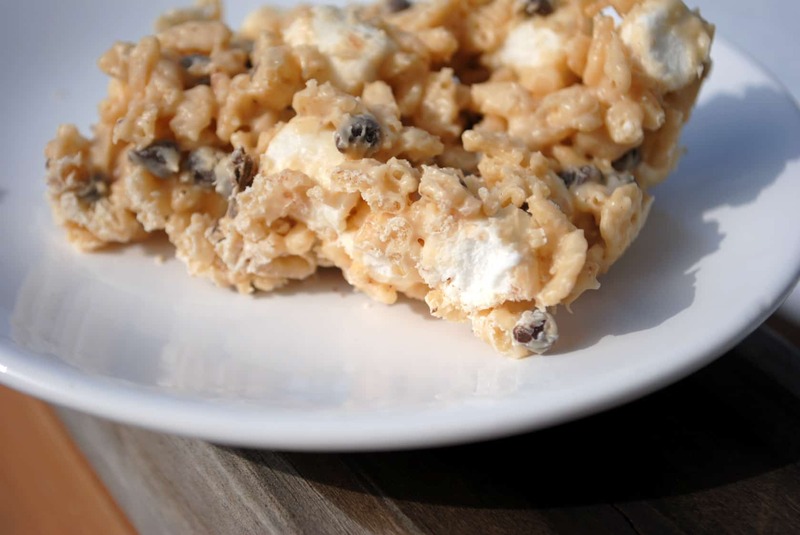 There is something just so magical about a Rice Krispie treat. No store bought version can ever fulfill this craving. I probably talk too much about how to make rice krispie treats, but they really are my favorite thing. So last week when I was craving some Krispie Treats, I opened up my pantry to get the ingredients. You know, Rice Krispies, marshmallow, butter. Ummm, I had no marshmallows and no butter. WHAT? I know. 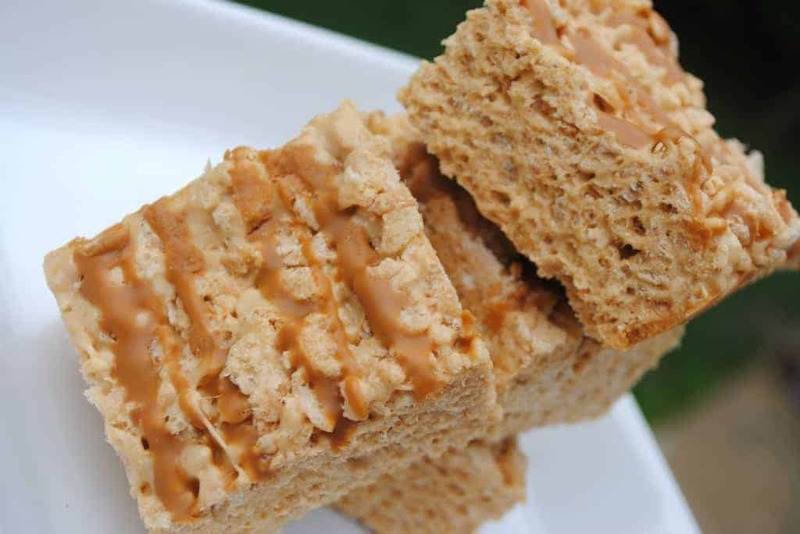 So I remembered YEARS ago I made Krispie treats using butterscotch morsels and peanut butter. But, as luck would have it, I was out of creamy peanut butter. I KNOW. (What I should have been doing at this point was realize I needed some serious grocery shopping). I did have a beautiful jar of White Chocolate Wonderful. Have you tried this stuff? OMG, it’s amazing. But I don’t like to bake with it. Cause it’s too good. Like, I don’t even share it much with the family it’s so good. But, I figured, since I don’t usually share my Rice Krispie treats I could dive into my jar of White Chocolate Wonderful. If you haven’t tried this before, it’s white chocolate with peanut butter. All scientifically blended together to create a delicious jar of wonderful (probably where they came up with the name, ya think?) I’m sure the website (or the jar) has a better description. Needless to say, these treats were amazing. You can use creamy peanut butter if you choose, but if you can get your hands on a jar of this it would be better. So much better. 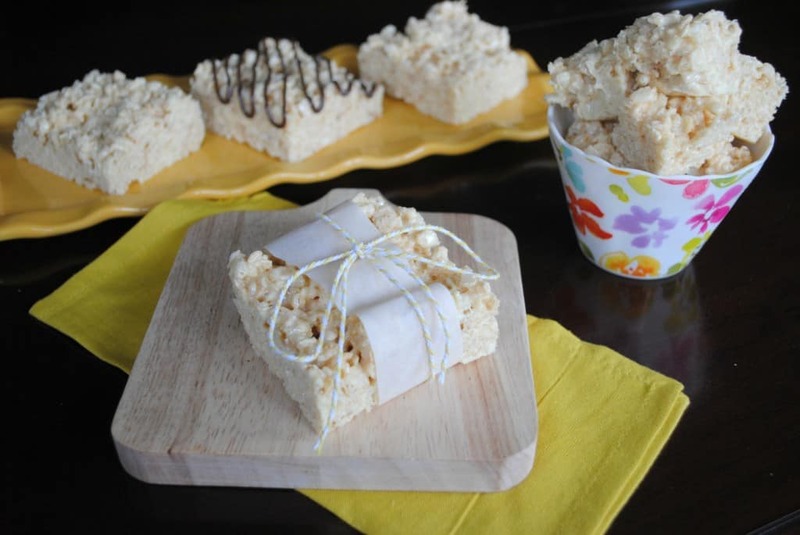 Want more Rice Krispie Treat ideas? Well you’ve come to the right place! 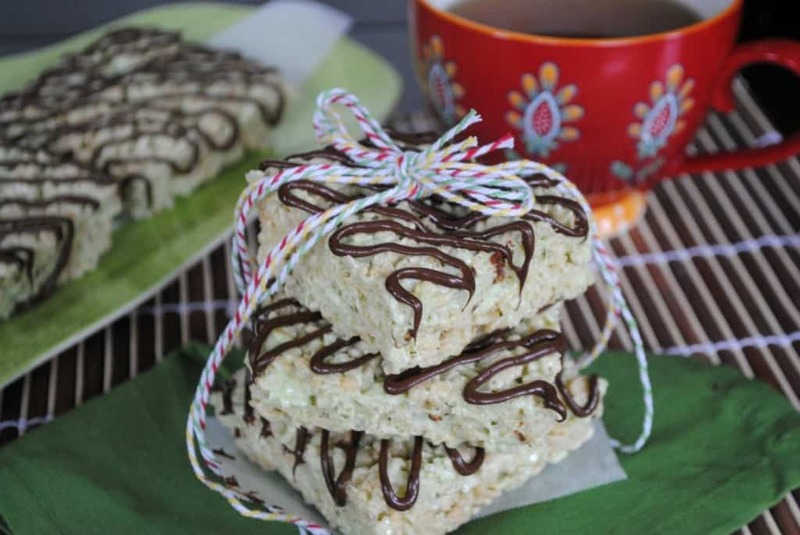 Banana Rice Krispie Treats: your classic breakfast cereal meets bananas. Genius? I know. 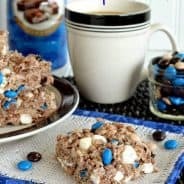 Avalanche Krispie Treats: inspired by Rocky Mtn Chocolate Factory- these are GOOD! Pistachio Krispie Treats: JELLO pudding mix combined with Krispie treats makes these delicious! Drizzle some dark chocolate for extra YUM factor! In microwave safe bowl, combine butterscotch morsels with peanut butter. Heat for 1 minute. Stir and heat an additional 30 seconds. Stir again (if still not completely melted, heat an additional 30 seconds. Pour over cereal, folding it in completely. Press into an 8inch square baking dish lined with parchment paper. Refrigerate for 15-30 minutes. Cut into squares. ENJOY! 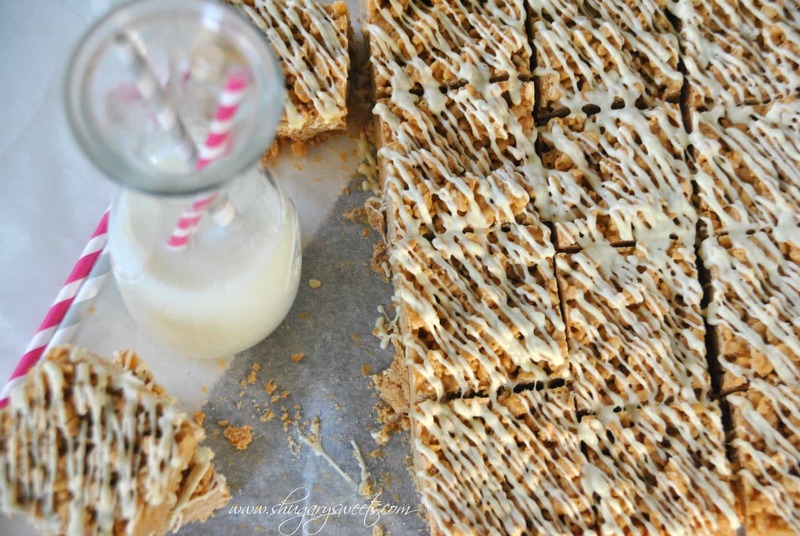 Optional: drizzle treats with melted white chocolate bar! 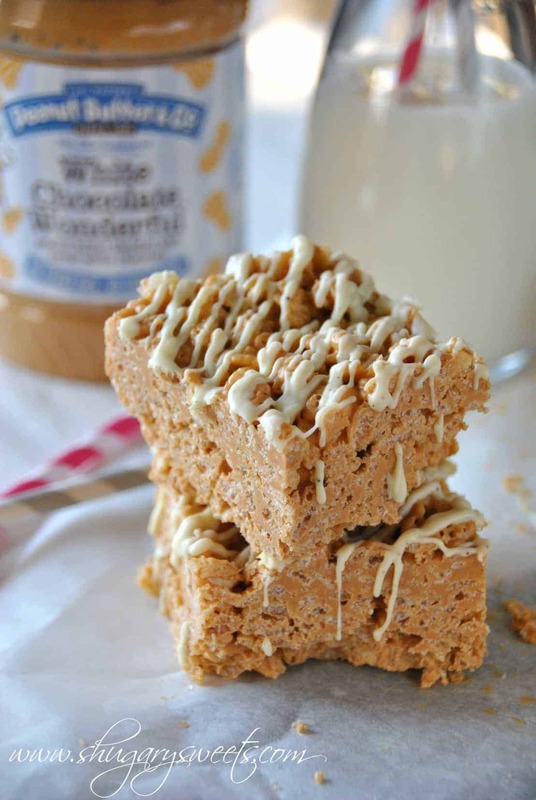 I love Peanut Butter (especially White Chocolate Wonderful!) and I love Rice Krispie Treats! Thanks for sharing so many delicious recipe ideas! Oh, man, this sounds delicious. I’m going to give it a try! Thanks Sue, let me know if you try them! I love these things! I am a huge huge huge RKTreat lover as well as PB and white choc and WCW is amazing stuff – you’re right. Love these, Aimee! I love the WCW and I was a little weary about using it (for fear of not having any left), but SO glad I did!!! i have to get my hands on some of that white chocolate wonderful. how did I miss it?!! The bars look amazing Aimee! Keep your eye out for it. It’s definitely wonderful!!! Oh yes. Yes please! These would be gone in two seconds flat…all consumed by me! I won’t say how many seconds it took for them to be gone. Nor will I admit how many I ate. I will say that I consumed the majority of them! These look pretty amazing. I could go for a couple for breakfast! Thanks Carrie. Your tart still has me thinking about lemon. I’ll swap a piece for a piece! I love White Chocolate Wonderful (and the other Peanut Butter & Co. flavors!)! 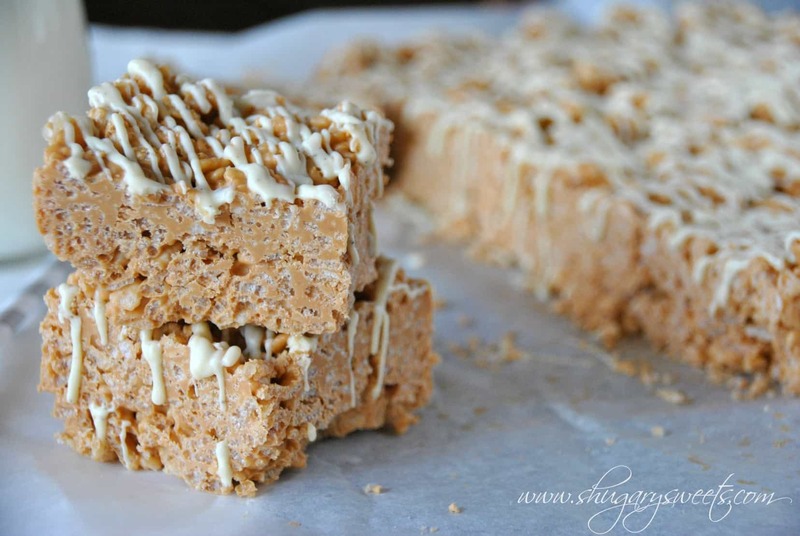 This is such a great idea for krispie treats! Thanks Jessica. The WCW is so good. I need to try some of the other flavors!!! 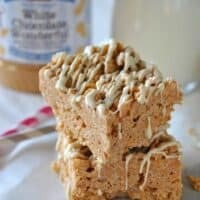 I’m oddly not usually a rice krispie treat fan, but I’m obsessed with Peanut Butter and Co. (and love their White Chocolate Wonderful), so I think I’d be down with these! Because these are made with no marshmallow they only vaguely resemble traditional krispie treats. They really taste more like a candy bar! peanut butter, butterscotch, and white chocolate are three of my very favorites – a trifecta of amazing flavors. And I love rice krispie treats – they are so versatile and being no bake scores them high on my list. Trifecta of amazing flavors! I love that!! I know how much you love all those ingredients…you have me drooling daily! 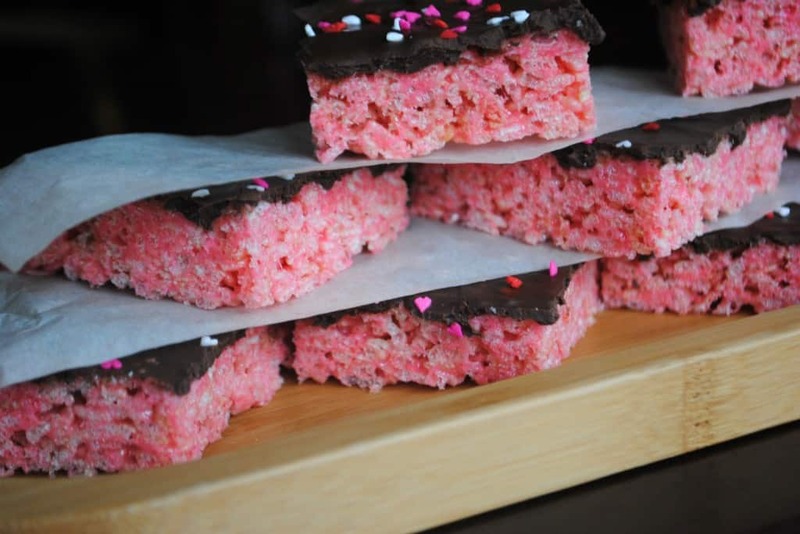 I love rice krispie treats and you come up with the most amazing ones!!! thanks Jennifer. I love my Krispie Treats!! I have no words right now. Too busy planning an emergency white chocolate run to the store! Candy bars are good! 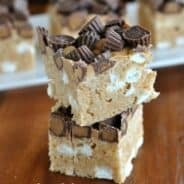 Krispie treat candy bars are amazing!! Wish I had some left to share with you! I have never tried the White Chocolate Wonderful, but I do have peanut butter, and an over abundance of butterscotch chips – so I will be making these today!! Enjoy Erin. Let me know how it turns out! Without marshmallows, don’t these get hard? I made the P.B. version on the back of the cereal once and they turned into a rock. 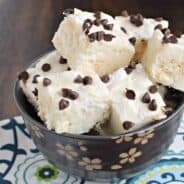 Do you think you could add marshmallow to these like normal? No, they don’t get hard, but they definitely are a different consistency. Like a candy bar! 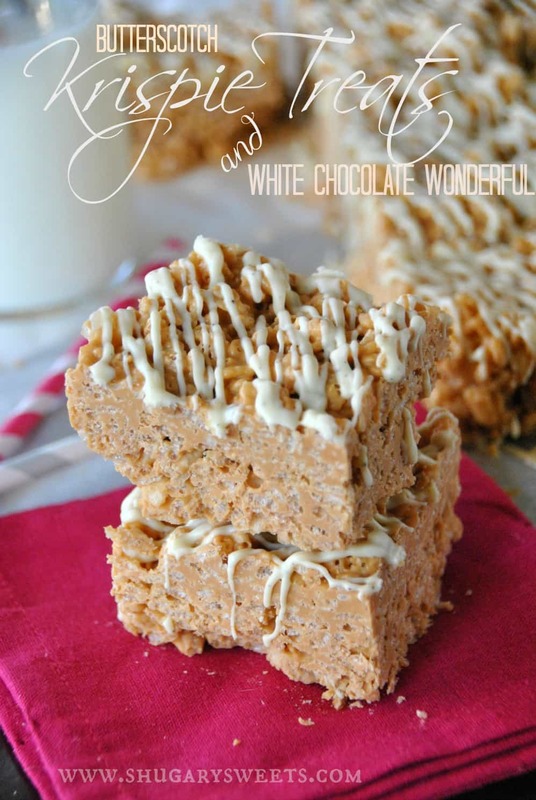 A delicious, soft, decadent candy bar!! Thanks Crystal. I have a serious weakness for Krispie treats! I am making these tonight!! I love that they’re so quick… it doesn’t allow you enough time to second-guess your awesomely indulgent decision. Aimee – I made these last weekend and had been meaning to write you! Greg went crazy for them but had a good suggestion while I was making them….I added some melted choc chips to the top and put the whole thing in fridge to harden that layer – it was perfect – good contrast to the gooey peanut buttery flavor – they were gone in like 1 day! I love these!! Love the melted chocolate chips on top too!!! !